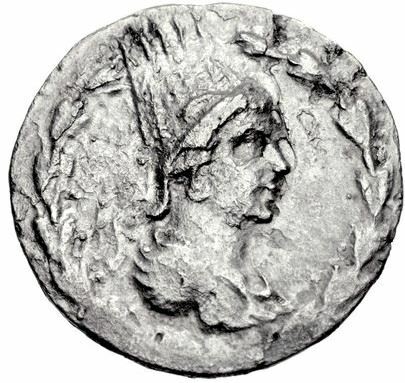 Artaxias II was a Prince of the Kingdom of Armenia and member of the Artaxiad Dynasty who served as a Roman Client King of Armenia from 33 BC until 20 BC. After ascending to the Armenian throne and regaining the country, with the support of Phraates IV, Artaxias II was successful in a military campaign against Artavasdes I of Media Atropatene, a former enemy of Artavasdes II. From this moment on, Artaxias II became pro-Parthian and anti-Roman. He massacred the remaining Roman garrison and slaughtered all the Roman traders in Armenia, when these acts went unavenged. The Armenians sent messengers to Augustus requesting him to remove Artaxias II from his throne and to install his brother, Tigranes III as his successor. Augustus agreed and sent his step-son Tiberius, Tigranes III, and a large army to depose Artaxias II. Before they arrived Artaxias II was assassinated. Tigranes III was installed as the new King of Armenia unopposed.